A blog post is never complete without images. There are amazing images in a few blog posts and you always wonder the source! Or maybe you are writing on some trending topic and find great images on Google. You use them as those images are easily available and are maybe about some popular public event like fashion show/ Cannes festival or the likes. Beautiful images can be tempting, but it is important to understand the rules around it. 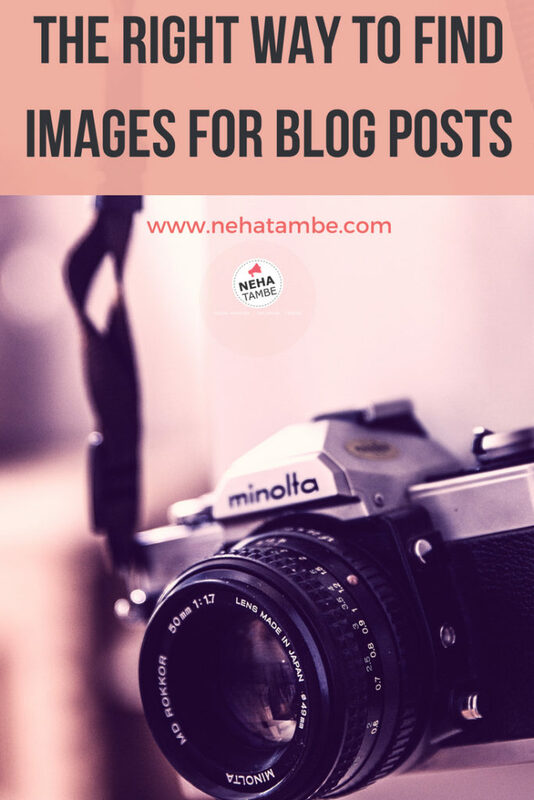 Listed below are the tips for using photos in blog posts, the correct way to incorporate them and suggestions to protect your images online. Stock images are high quality images that are available for commercial and non-commercial use for a fee. Royalty free images – These images are often confused as free images, however royalty free mean the images are available for a small fee and the royalty part of the costing is waived. These are not totally free to download images. Free Stock Images – These images are free for download and can be used with or without credits to the creator. Subscribe to get a free downloadable list of 45 sites with free downloadable images. How to check image permissions? If you visit any of the stock image sites, it is mentioned if the image is free or chargeable. Most of the paid images are also marked with watermark. If you are searching on Google, check out this helpful video on how to find an image and how to give proper credits for the same. It is often seen that many people mention Source – Google or Pinterest with their image. This is not accepted. As Google and Pinterest are search engines, saying that you found an image on search engine, does not mean giving proper credits for the same. If the image is protected with Creative Commons then check the kind of attribution is required. How to protect your content on the web? Just as you shouldn’t copy someone else’s work, you might be worried about your content being used without your permission. There are a few ways that you can protect your content. These are services that you can use and avail to ensure that your content is not being used or it helps in finding where the content is being used. Copyscape – Copyscape is a tool that checks plagiarism. The premium service automatically monitors the Web for copies of your content, notifying you of possible plagiarism. There are some free tools available too to detect plagiarism like small seo tools however the problem here is that you need to physically make checks to understand if there has been an unauthorized copy. TinEye- Tin Eye is a reverse image search that helps you check if and where your image is being used. It is even effective in identifying modified versions. The premium version of this tool automatically makes regular checks to identify the locations where your image was used. What can happen if you violate the copyright? Comply with the requirements immediately and respond back. If you are asked to pay, you can negotiate for the amount. However not everything that is online is copyright protected. Here is a great link that offers 15 things that cannot be copyright, in a nutshell. Do check out some more helpful resources that I came across which give clarity in terms of copyrights and the way they need to be used. I am not a lawyer and all the information I have provided here is either based on research or based on knowledge passed on to me during my work. Kindly do take advise from professionals before you take any decisions. This is very useful article Indeed ! I never knew in detail about copyrights of images . Thanks neha for providing us with such an important information. I will surely kep in mind for next time 🙂 thanks again! I use royalty free, commercial use allowed images. Tin eye is new to me. It’s good to know this tool. I will look into it. I never use images from the internet on my blog but yes, I always fear that someone else might use my creatives without credit! This post was really helpful! This post should help new bloggers a lot, mostly source images from Google without knowing of stock images and the CC0 ones. 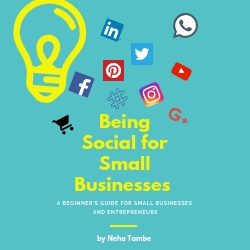 For the new bloggers, a must read. Even I didnt know about Tineye. Will check this. We should use always free images. I always try to use my own clicked images. It makes the post more interactive. I often use websites like pixabay that offer free images. However this article is helpful since not many are internet savvy or have that much knowledge about copyright issues. This was a useful guide to find and use images well.Many will be helped by this.Bookmarking. This post is really very helpful in understanding the minute details about copyright and protecting our content. It’s a great article covering all aspects of image usage in blog posts. Earlier i used to use any image from google. This post is really helpful and interesting to read. As a blogger, we really need this kind of information. Thanks for sharing. photos makes reading easy. I love stock photos! Great information and very useful too. I had used photopin and flicker as an image source for my blog. will keep all these points too in mind while selecting the next one. thanks a lot for sharing good info. This blog is really informative about the copyright assistance of the pictures on the web and interesting to read. As a blogger, we really need this kind of information. Thanks for sharing. What do I do if I want to add some videos to my blog? Will the case be the same? Very good article. Thank you so much for share your informative article.